This is a classic wedding program design. 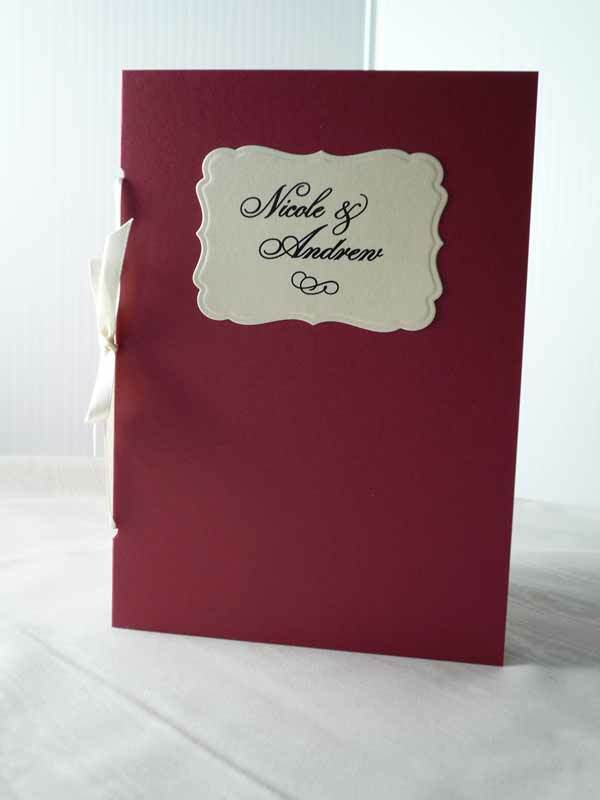 Pomegranate cardstock with a metallic ivory embossed cut out gives the program a timeless elegance. 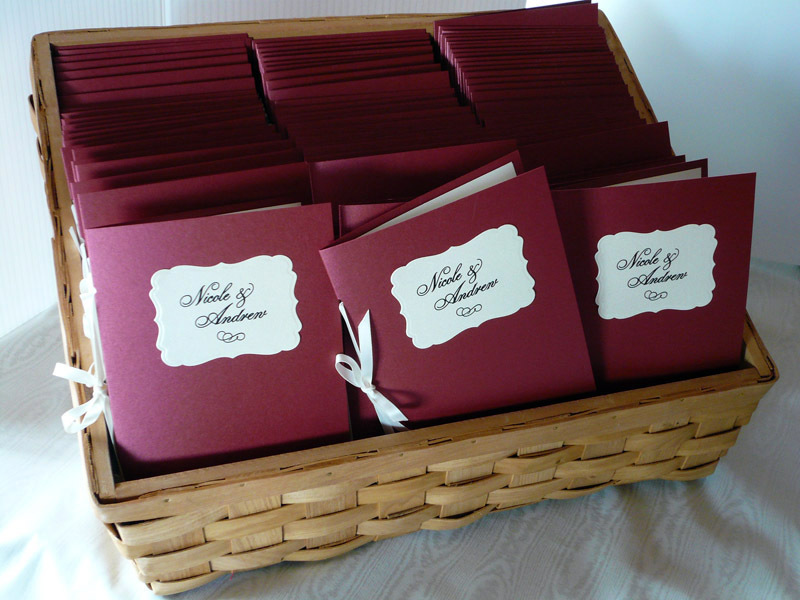 A satin ivory ribbon holds the metallic pearl paper pages in place. 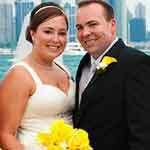 A beautiful keepsake of your wedding ceremony. Matching placecards and table markers complete the look.